Jan 13, 2017: PSU And GPU Questions. Apr 22, 2017: Wondering if I can possibly upgrade my to a dedicated GPU. Apr 24, 2017: Does power supply matter much? Sep 14, 2017: Will a PSU melt Scotch Tape? May 08, 2018: Pc suffered a power surge, looking to replace the power supply and put everything in a new case. Jun 04, 2018: Enough power for my CPU? Nov 18, 2018: Looking to upgrade my system, what is the FIRST thing I should upgrade? 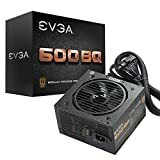 Jan 20, 2019: I'm upgrading from an 8-year old pc, are there any parts missing from this list?